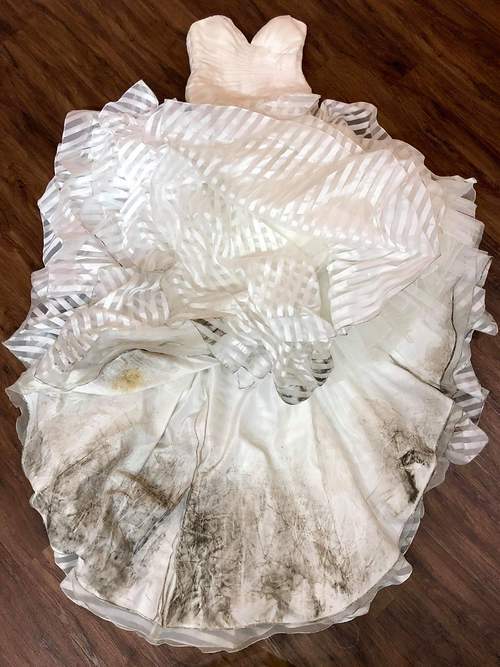 The wedding is over, the dress is trashed – let us bring it back to life again! 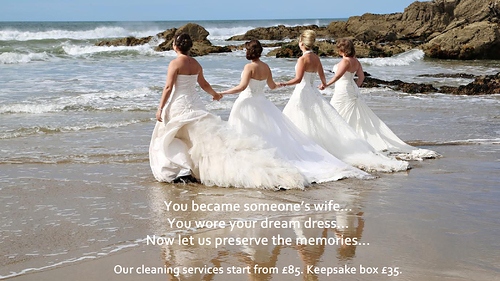 Our Expert cleaning service will restore your dress to its former glory so it can be worn again, kept or sold in beautiful condition! 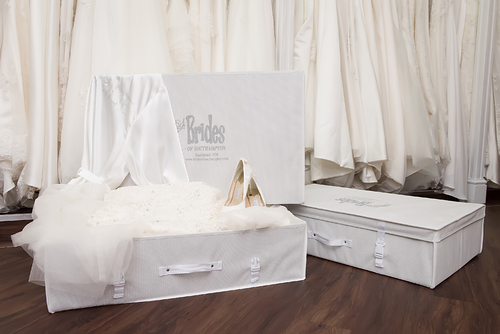 Grass, Mud, Fake tan, lipstick….We can tackle it for you and we can also pack it away in a beautiful keepsake box for you too! 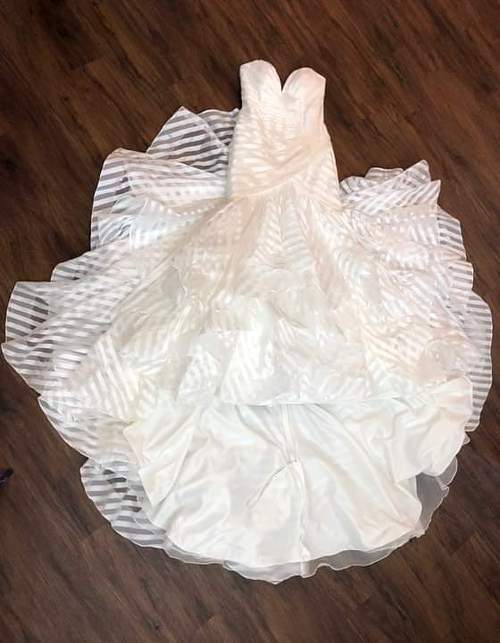 We can clean all dresses that we sell in store but if your dress was not from us, dont worry, just give us a call and we can arrange to have a look at it.